Fans of The Maze Runner are fiercely devoted, but may be looking for movies like it to watch. Never fear, there are more amazing movies that will send you into an alternate world! So many really good dystopian film series have come out in the last few years, it’s hard to choose! 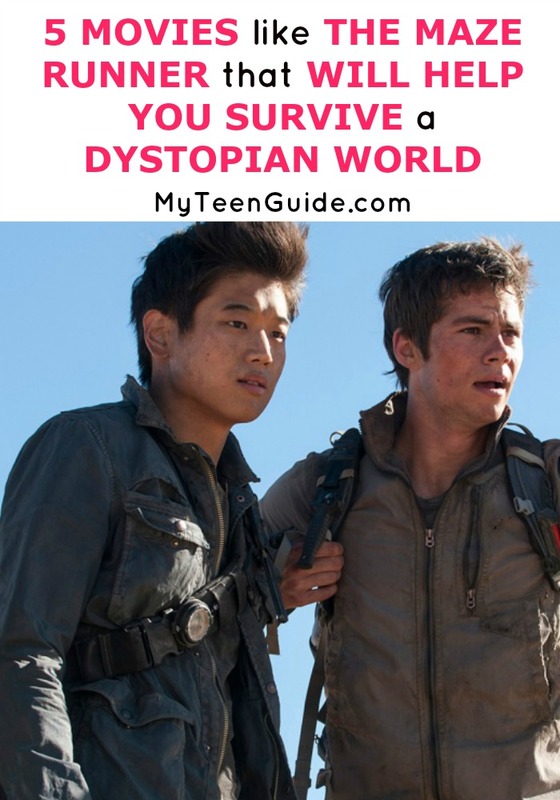 Check out my picks for movies like The Maze Runner. The Maze Runner is a 2014 dystopian film that also features science-fiction, action, and thriller. It is based on the 2009 book of the same name by James Dashner. The movie stars Dylan O’Brien as Thomas, Kaya Scodelario as Teresa, Thomas Brodie-Sangster as Newt, Will Poulter as Gally and Patricia Clarkson as Ava. When his memory is erased, Thomas is left in a boys’ community. They soon realize that they are trapped in a maze where they must escape. Here are some movies like The Maze Runner. Divergent is a 2014 sci-fi movie that is based on the 2011 book of the same name by Veronica Roth. The movie stars Shailene Woodley as Beatrice Prior and Theo James as Tobias Eaton. Divergent is set in the dystopian and post-apocalyptic city of Chicago, where its residents are divided into one of five factions, based on human virtues. It centers around Beatrice Prior, who discovers she doesn’t fit in with everyone else because she is Divergent, meaning she has attributes of more than one faction. She and Tobia Eaton team up together after she learns of an evil plot to destroy Divergents. The Hunger Games is a 2012 dystopian sci-fi adventure movie that is based on the 2008 book of the same name by Suzanne Collins. It stars Jennifer Lawrence as Katniss Everdeen and Josh Hutcherson as Peeta Mellark. Also in the movie is Liam Hemsworth as Gale Hawthorne, Woody Harrelson as Haymitch Abernathy, Elizabeth Banks as Effie Trinket, Stanley Tucci as Caesar Flickerman and Donald Sutherland as President Coriolanus Snow. The Hunger Games tells the story of Katniss Everdeen and Peeta Mellark, who take part in the televised Hunger Games competition. The game features two teens who are chosen at random from each of the 12 Districts and must fight to the death. The Village is a 2004 psychological thriller movie that features people who live in the village of Covington and have a great fear of nameless creatures that live in the woods surrounding the village. This movie may seem less dystopian and a little more thriller at first, but keep watching it gets so good! The Village stars Bryce Dallas Howard as Ivy Elizabeth Walker, Joaquin Phoenix as Lucius Hunt, Adrien Brody as Noah Percy, William Hurt as Edward Walker as Sigourney Weaver as Alice Hunt. The 5th Wave is a 2016 sci-fi thriller movie that is based on the 2013 book of the same name by Rick Yancey. The movie stars Chloe Grace Moretz as Cassie Sullivan and Zackary Arthur as Sam Sullivan. The 5th Wave is about Cassie Sullivan, who is trying to save her younger brother, Sam after Earth is hit by four waves of deadly alien attacks. Ender’s Game is a 2013 sci-fi action movie that is based on the 1985 book of the same name by Orson Scott Card. The film stars Asa Butterfield as Andrew “Ender” Wiggin, a child who is extremely gifted and sent to an advanced military school to train to fight future alien invasions. So have you seen any of these movies like The Maze Runner? Tell me what you think about these flicks below!